** These ranks are based on the 2005 figures. Belize, formerly known as British Honduras, is a small nation on the eastern coast of Central America on the Caribbean Sea bordered by Mexico to the northwest and Guatemala to the west and south. The country is a parliamentary democracy and constitutional monarchy which recognizes Queen Elizabeth II as Sovereign. The name is shared by the Belize River, Belize's longest river, and Belize City, the former capital and largest city. The only English-speaking country in Central America, Belize was a British colony for more than a century and was known as British Honduras until 1973. It became an independent nation in 1981. Belize is a member of the Caribbean Community (CARICOM) and the Sistema de Integración Centroamericana ( SICA) and considers itself to be culturally both Caribbean and Central American. Belize is the smallest (in terms of population) non-island sovereign state in the Americas. The Maya civilization spread over Belize between 1500 BC and 300 AD and flourished until about 900 AD. European settlement began with British privateers and shipwrecked English seamen as early as 1638. The origin of the name Baylize is not terribly clear, but one theory is that it derives from the Spanish pronunciation of Wallace which is the last name of the pirate who created the first settlement in Belize in 1638. Another possibility is that the name is from the Maya word belix, meaning "muddy water", applied to the Belize River. 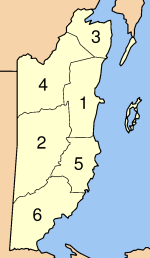 The early "settlement of Belize in the Bay of Honduras" grew from a few habitations located at Belize Town and St George's Caye into a de-facto colony of the United Kingdom during the late 18th century. In the early 19th century the settlement was called British Honduras, and in 1871 it became a Crown Colony. British Honduras became a self-governing colony in January 1964 and was renamed Belize in June 1973; it was the United Kingdom's last colony on the American mainland. George Price led the country to full independence on 21 September 1981 after delays caused by territorial disputes with neighbouring Guatemala, which did not formally recognise the country until 1991. Throughout Belize's history, Guatemala has claimed ownership of all or part of the territory. This claim is occasionally reflected in maps showing Belize as Guatemala's most eastern province. As of 2006, the border dispute with Guatemala remains unresolved and quite contentious ; at various times the issue has required mediation by the United Kingdom, CARICOM heads of Government, the Organization of American States and on one occasion, the United States. Since independence, a British garrison has been retained in Belize at the request of the Belizean Government. Notably, both Guatemala and Belize are participating in the confidence building measures approved by the OAS, including the Guatemala-Belize Language Exchange Project. Belize was recently the site of unrest directed at the country's ruling party concerning tax increases in the national budget. The primary executive organ of government is the cabinet, led by a prime minister who is head of government. Cabinet ministers are members of the majority political party in parliament and usually hold elected seats within it concurrent with their cabinet positions. The bicameral Belizean parliament is the National Assembly, which consists of a government House of Representatives and a Senate. The 29 members of the House are popularly elected to a maximum 5-year term and introduce legislation affecting the development of Belize. The 12 members of the Senate are appointed by the Governor General. The Senate is headed by a president, who is selected by its members, and is responsible for debating and approving bills passed by the House. Belize is located between the Hondo and Sarstoon Rivers, with the Belize River flowing down in the centre of the country. The north of Belize consists mostly of flat, swampy coastal plains, in places heavily forested. The south contains the low mountain range of the Maya Mountains, whose Victoria Peak is the highest point in Belize at 3,675 feet (1,120 m) tall. The Caribbean coast is lined with a coral reef and some 450 islets and islands known locally as cayes, pronounced "keys". Belize is home to the longest barrier reef in the western hemisphere stemming approximately 200 miles (322 km) and the second longest in the world after the Great Barrier Reef. Three of the four coral atolls in the Western Hemisphere are also located off the coast of Belize. 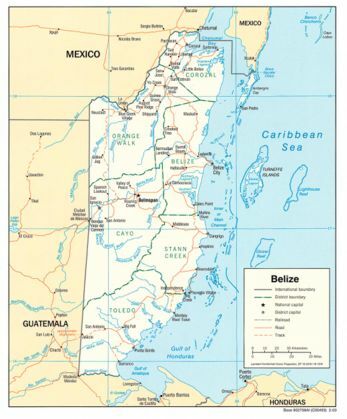 Belize is also the only Central American country without a coast on the Pacific Ocean. The climate is tropical and generally very hot and humid. The rainy season lasts from May to November and hurricanes and floods are frequent natural hazards. The small, essentially private enterprise economy is based primarily on agriculture, agro-based industry, and merchandising, with tourism and construction assuming greater importance. 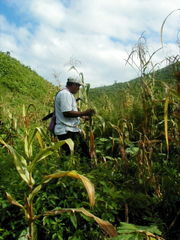 Sugar, the chief crop, accounts for nearly half of exports, while the banana industry is the country's largest employer. Citrus production has become a major industry along the Hummingbird Highway. More recently, discoveries of petroleum deposits in the Cayo District and possible deposits in the Toledo District have radically altered Belize's previously untapped mining and manufacturing capabilities. The ruling government's expansionary monetary and fiscal policies, initiated in September 1998, led to GDP growth of 6.4% in 1999 and 10.5% in 2000. Growth decelerated in 2001 to 3% due to the global slowdown and severe hurricane damage to agriculture, fishing and tourism. Growth was in 2005 3.8%. Major concerns continue to be the rapidly expanding trade deficit and foreign debt. A key short-term objective remains the reduction of poverty with the help of international donors. Belize is considered as having a relatively young and growing population. Its birth rate is among the highest in the world and there are indications that this trend will continue for the foreseeable future. The greatest portion of Belize's population is under the age of 30. Nearly 40% of Belizeans are under 15; a similar number are between the ages of 15 and 65. Males slightly outnumber females, though this trend is beginning to change among certain ethnic groups, such as the Creoles and the Garifuna, where there are more middle-age and elderly women. Maya and Mestizo families are more likely to have male-dominated households. Belize's birth rate currently stands at nearly 25/1000. Nearly 6 persons die per year out of a 1,000 members of the population; this figure includes murders, accidents and death from natural causes. Infant mortality, high at the beginning of the 20th century, is now down to a mere 24 babies out of a thousand. Male babies are more likely to die, however, than females. The life expectancy of a typical male is 66 years, while for a female it is 70. HIV/AIDS, while not a serious threat to national stability, does affect enough of the population to give Belize a high rating among Caribbean and Central American nations. According to the latest census, Belize's population is close to 300,000, and much of that number is multiracial and multiethnic. The Maya are the most established of all ethnic groupings, having been in Belize and the Yucatan region since the 500's AD. White English and Scottish settlers entered the area in the 1630's to cut logwood for export and began settling down. The first African slaves began arriving from elsewhere in the Caribbean and Africa and began intermarrying with whites and each other, to create the Creole ethnic grouping. After 1800, Mestizo settlers from Mexico and Guatemala began to settle in the North; the Garifuna, a mix of African and Carib ancestry, settled in the South by way of Honduras not long after that. The 1900s saw the arrival of Asian settlers from Mainland China, India, Taiwan, Korea, Syria, and Lebanon. Central American immigrants and expatriate Americans and Africans also began to settle in the country, presenting an interesting potage. However, this was balanced by the migration of Creoles and other ethnic groups to the United States and elsewhere for better opportunities. Currently, Mestizos comprise 50% of the population, and Creoles 25%. The rest is a mix of Maya, Garifuna, Mennonite Dutch/German farmers, Central Americans, whites from America, and most recently black Africans and Cubans brought to assist the country's development. Not surprisingly, this mix creates an equally interesting mix of language and communication. English is the official language (Belize having been a British colony) but most Belizeans use the more familiar Belize Creole, a raucous and playful English-based language that contains colorful terms not usually translatable in English. Spanish has become important as the mother tongue of Mestizo and Central American settlers, and is a second language for much of the country. Less well known are the ancient Maya dialects, Garifuna (a mélange of Spanish, Carib and other tongues) and the Dutch-German of the Mennonites. Literacy currently stands at near 80%. Belize is a predominantly Christian society. Roman Catholicism is the predominant religion, accepted by the great majority of the populace. Newer religions like Buddhists, Muslims, Jainists, Daoists and Bahá'í cover much of the remaining population. Hinduism is common among South Asian immigrants; Islam is also common among the Middle-eastern immigrants and has also gained a following among Creoles and Garifuna. Religious freedom is guaranteed and churches dot the streets of Belize almost as frequently as places of business; catholics frequently visit the country for special gospel revivals.